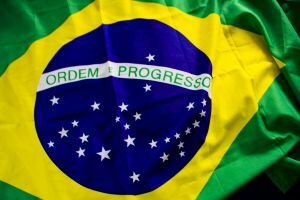 What’s Behind Kobo, Google and Amazon’s Simultaneous Brazil Launch? Usually, Kobo is first. Or at least that’s what they will tell you. A few years ago during BookExpo America, the company announced a new ereader just minutes before Barnes & Noble revealed a similar device, after having sent out press invitations more than a week earlier. Technically Kobo was “first,” but it left one with the distinct impression they were merely crying “me too, me too” — rather than having innovated anything as such. In Brazil this week, we saw the same kind of gamesmanship, with Kobo, Google and Amazon all launching ebookstores within hours of each other — all after nearly a year of anticipation, negotiation and planning. Kobo was, natch, “first”—and here proper credit isdue — having announced their partnership with Livraria Cultura bookstore chain months ago. Amazon was the subject of rumors concerning a deal with Brazil’s dominant bookstore chain Saraiva, so we knew something was happening, even if the notoriously secretive company wasn’t revealing its hand. Goole was…well, just being Google — that is, silently ubiquitous. Apple, meanwhile, jumped in last month with their half-baked iBookstore “window” for Brazilians, but that doesn’t quite count as a proper launch. In ebooks, first-mover advantage would seem to make a huge difference, as buyers — particularly in developing markets — are likely to commit to a single reading device and stick with it. But in Brazil, where relatively few devices are available (iPads, one Kobo, no Kindles, a few white label readers…but hundreds of millions of cell phones), it wouldn’t seem to make a difference. Well, yes, for Kobo it would. But for Amazon and Google, whose apps are available on multiple formats and, in the case of Google, every Android phone — what’s the rush? And why chase? It all harks back to the early ebook days, when bookstores touted the increasing number of titles they had on offer like some kind of pointless Cold War escalation. And, as Irish publisher and pundit Eoin Purcell pointed out last week and as we saw in Japan — where Amazon learned from Kobo’s mistakes — sometimes waiting on the sidelines can be an advantage (could this be B&N’s strategy in Brazil?). So, why the rush? Really. The only answer can be that the retailers are keen to capitalize on holiday shoppers in the rush up to Christmas. It’s perhaps the most important shopping season around the world, but particularly so in a predominantly Catholic and Christian country like Brazil. It could simply be that buyers willing to part with serious cash for an ereader are likely to be either early adopters or part of the rising upper and middle classes. That population, as these companies know from experience, is initially limited. And if you want to get a foothold in the market — be it through the media, bookstores, or the all-important education market (a very important consideration in Brazil), you really are better off being “first,” even if — like with the birth of twins or triplets — it might only be minutes apart. It may not amount to much if any difference, but the bragging rights last for life.